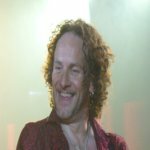 Def Leppard guitarist Vivian Campbell was recently interviewed by Tickets There and confirmed the band plans to tour with KISS this summer. Vivian managed to confirm the rumours without actually mentioning the band's name - as he recently did on facebook to a female fan. Irish fan Rob who runs Ticket's There confirmed to me one of his questions was whether the band will tour with KISS and Poison this summer in the US. Apparently an error meant his question was not included in the text, just Vivian's answer. This can be seen below. It's safe to assume he meant KISS as Poison seemingly ruled themselves out of the tour in February. Note - the interview was conducted by phone on 25th February. Vivian talked in the rest of the interview about Slang Deluxe Edition, the original album, social media, Last In Line, his health, the recent recording sessions in Dublin and the possibility of a world tour and new album in 2015. "I'd say you'd be half right there, but only half right and half wrong (laughs). There will be an announcement of our tour imminently, we're talking a matter of days. It has to be announced because we're almost at summertime."